In addition to public protests at airports and in cities across the United States over the weekend, high-profile stars have been weighing in on Donald Trump's controversial executive order to ban citizens of seven Muslim-majority countries from entering the U.S. 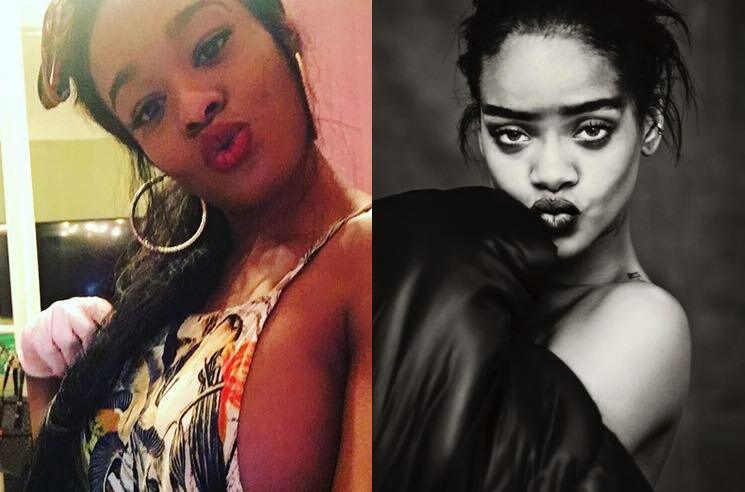 Things got particularly heated between Rihanna and Azealia Banks on social media over the weekend, with Banks reacting to a tweet in which Riri denounced Trump's actions. As far as rihanna (who isn't a citizen, and can't vote) and all the rest of the celebrities who are using their influence to stir the public, you lot really REALLY need to shut up and sit down. Stop chastising the president. It's stupid and pathetic to watch. All of these confused people confuse other confused people. Rihanna countered by posting a photo of herself to Instagram, proudly celebrating her own immigrant experience and using some choice poultry-related hashtags — not so subtly referring to Banks' chicken-sacrificing rituals. What rihanna meant was …. "I GREW UP PLAYING SOCCER IN A DIRT YARD WITH A COCONUT AND OPEN MY LEGS FOR ANY AND EVERY MOTHERF—KER WHO I THINK I CAN GET TO WRITE ME SONGS OR BUY ME DRUGS. I CAN BARELY PERFORM BECAUSE I LINE MY BROWN BLUNTS WITH CRYSTAL METH AND AM OFTEN VERY WINDED ON STAGE. Riri's final contribution to the feud featured a photograph of a man with a star-spangled bag over his head captioned: "the face you make when you screaming in an empty room." Never one to keep quiet, Banks has since shared a photo of herself wearing a latex glove. The accompanying emojis in the caption don't bode well for the American chicken population.